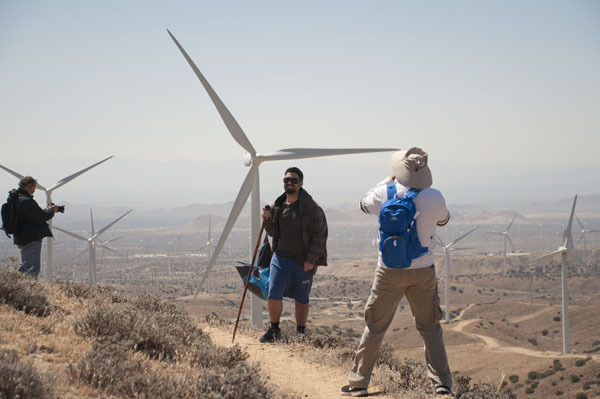 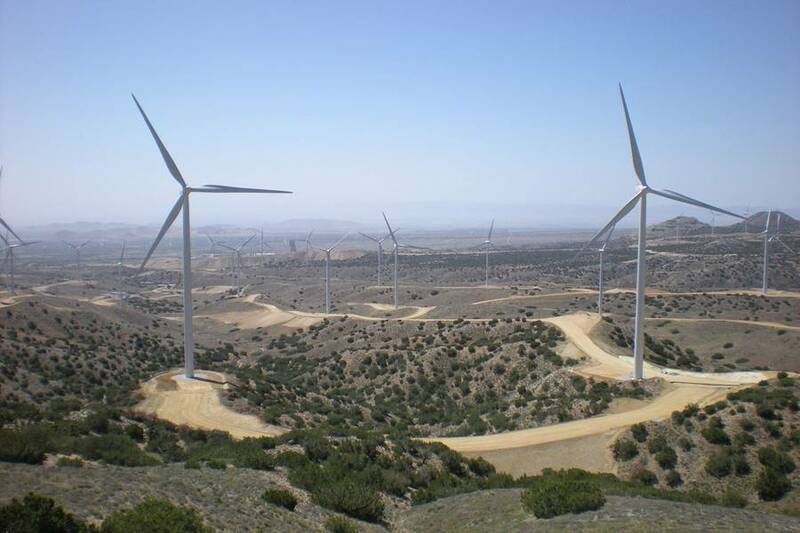 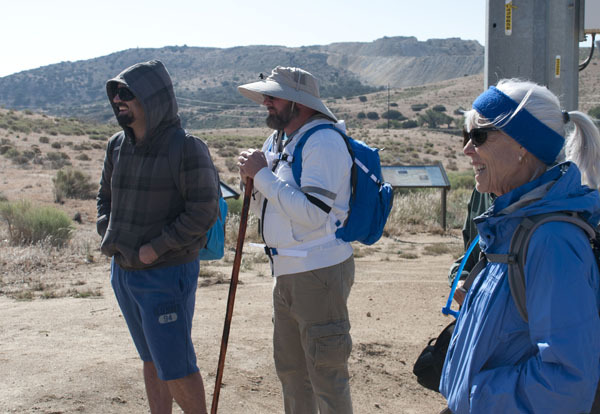 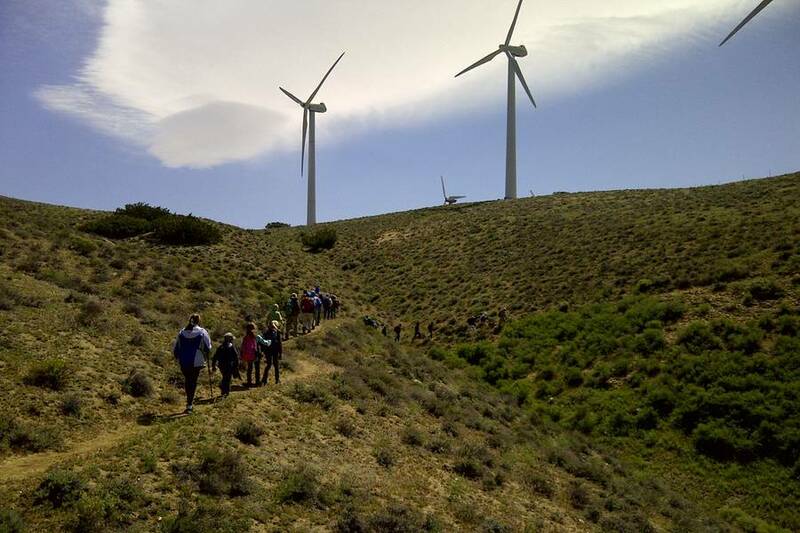 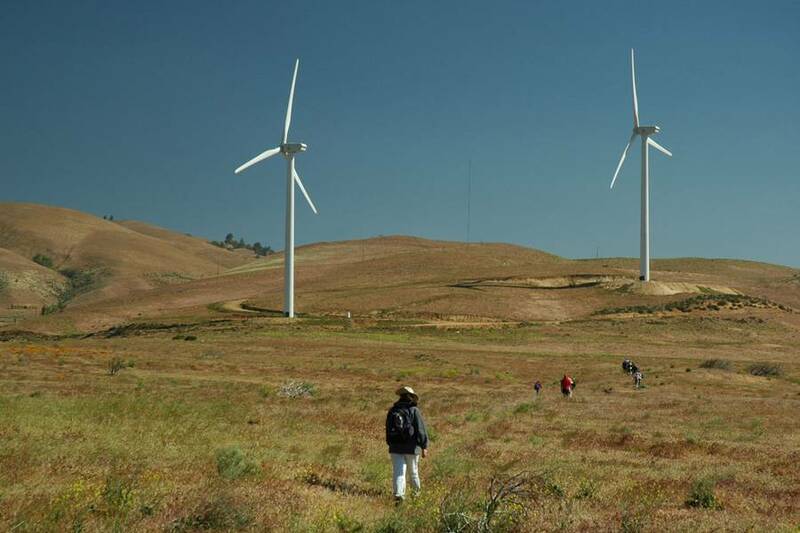 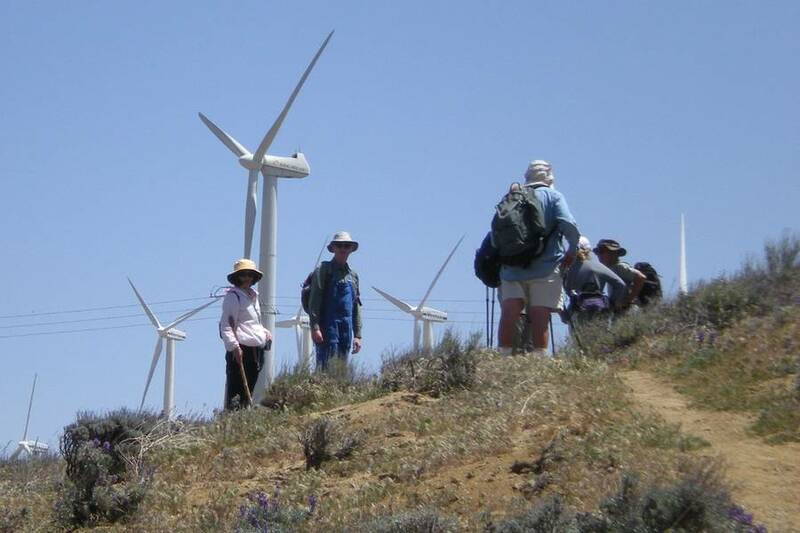 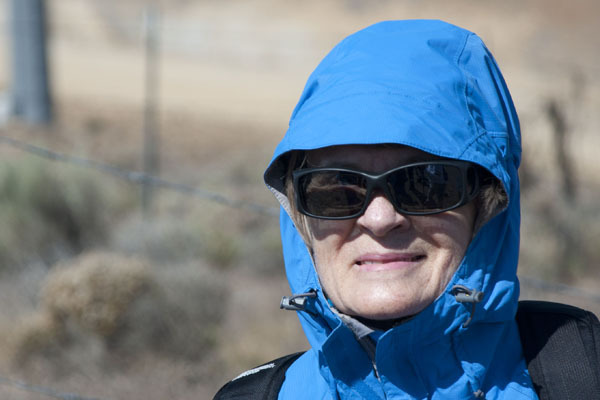 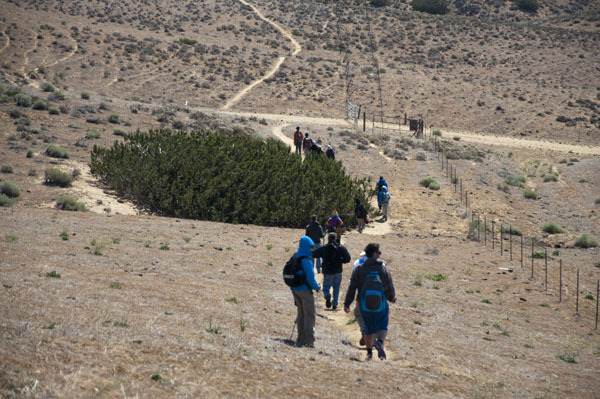 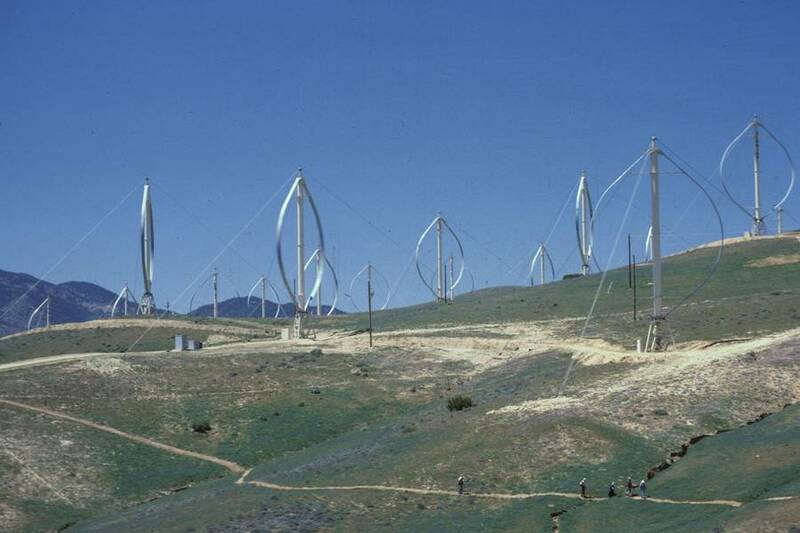 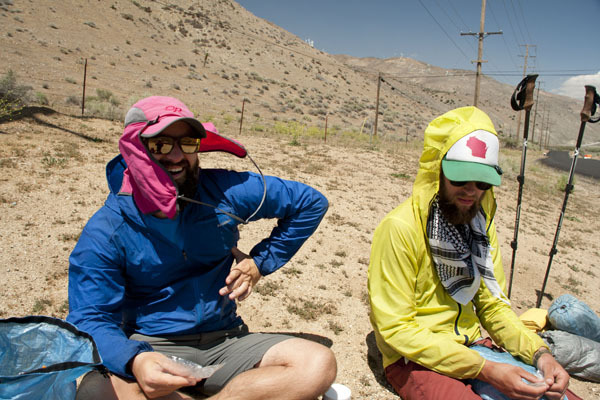 The Sierra Club's Kern-Kaweah Chapter sponsors the hike to spotlight a little-known section of the Pacific Crest Trail as well as the thousands of wind turbines in the Tehachapi Pass. 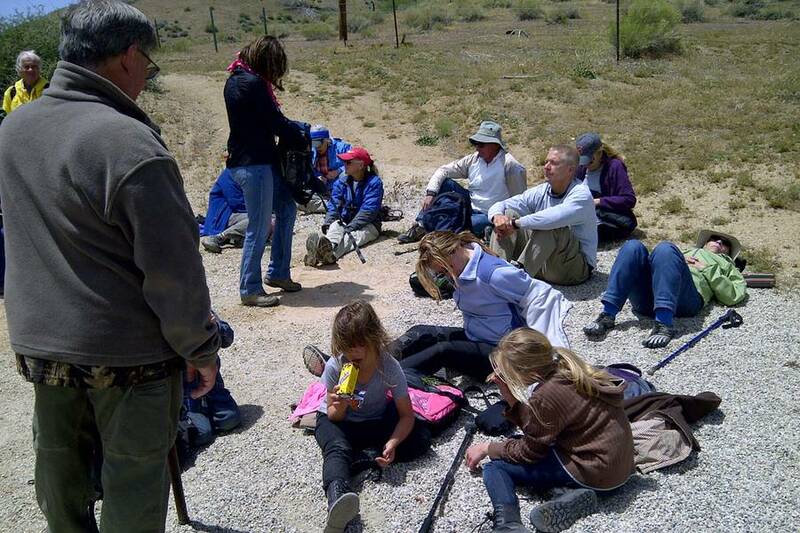 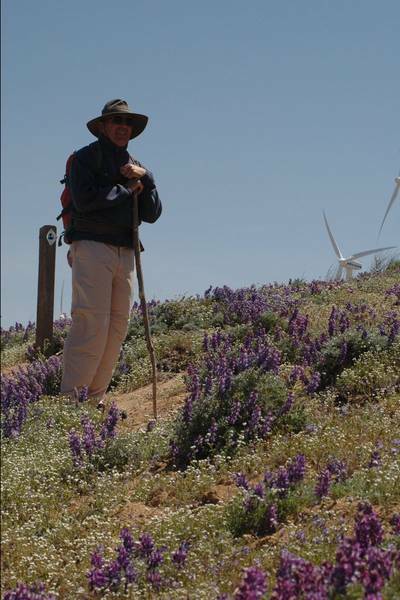 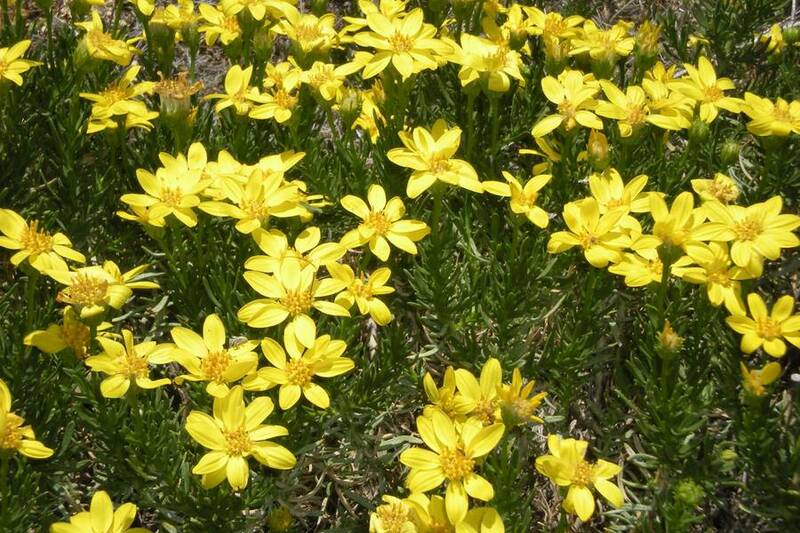 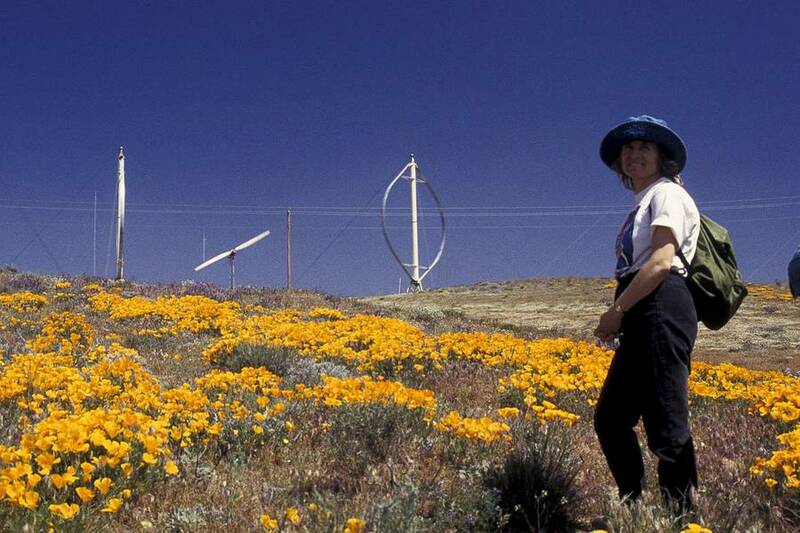 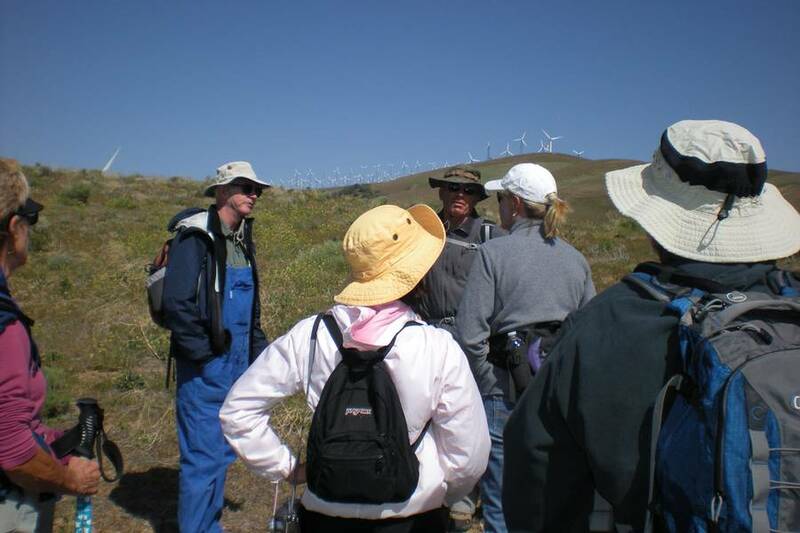 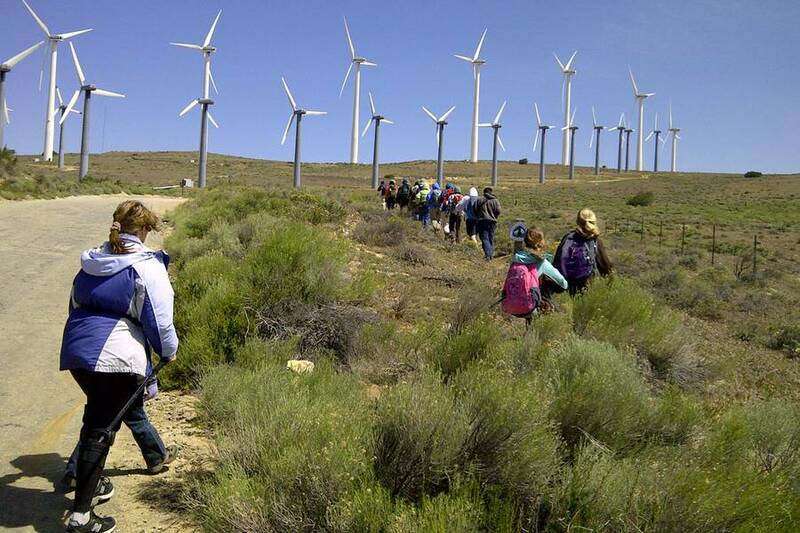 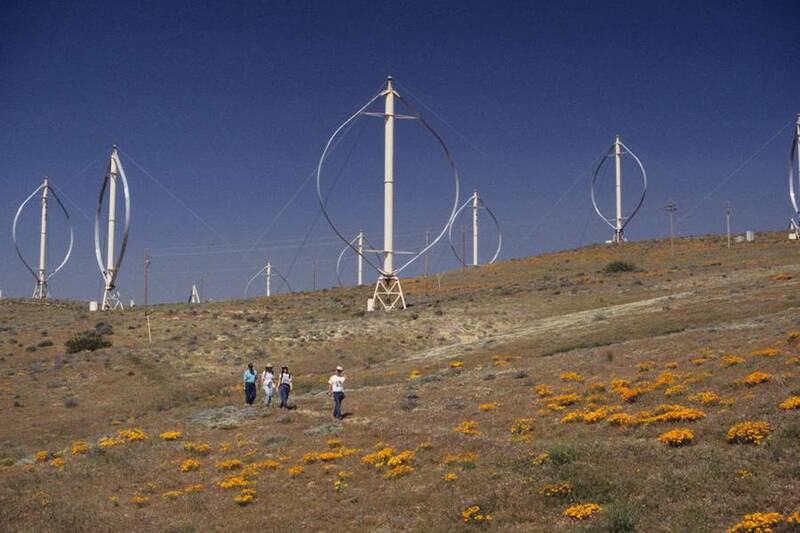 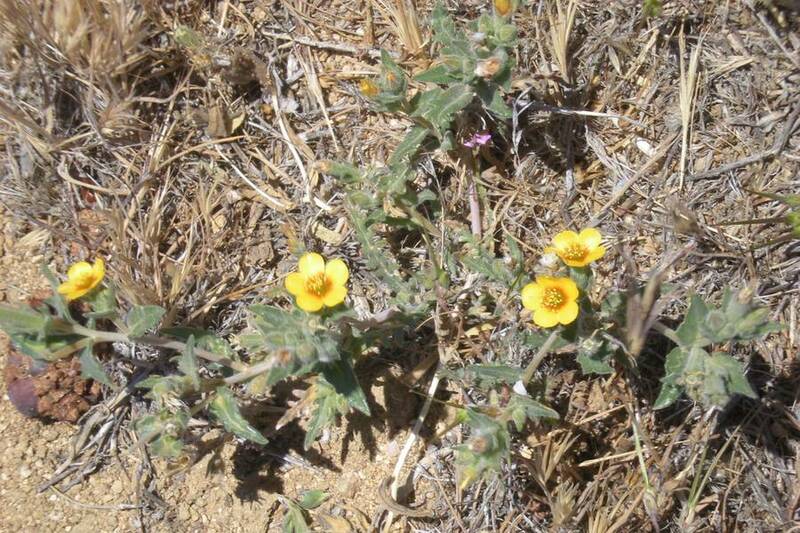 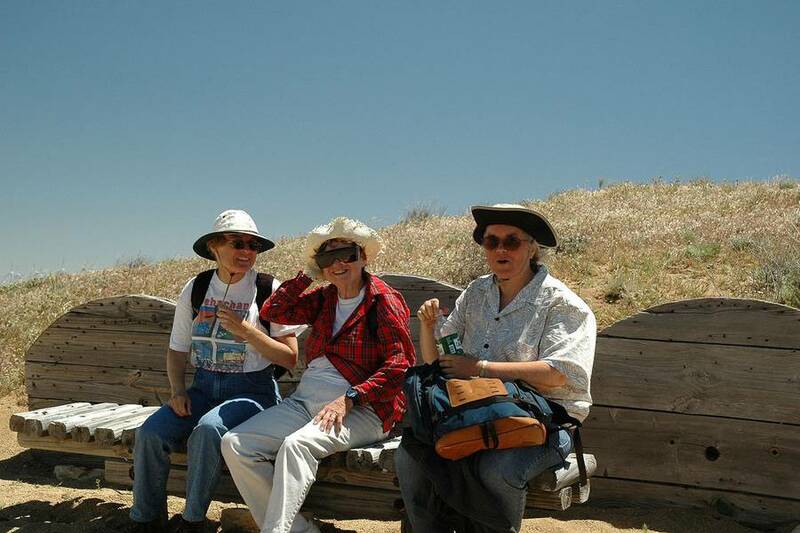 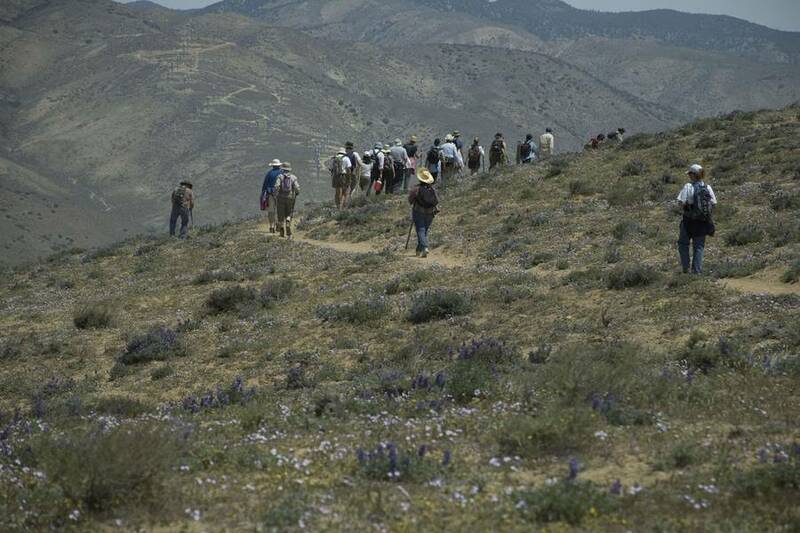 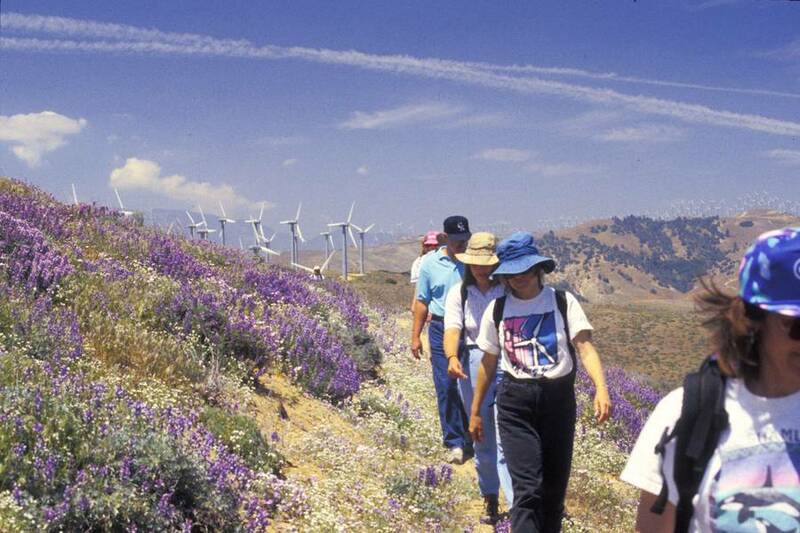 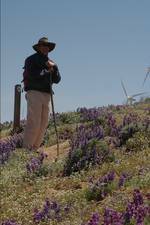 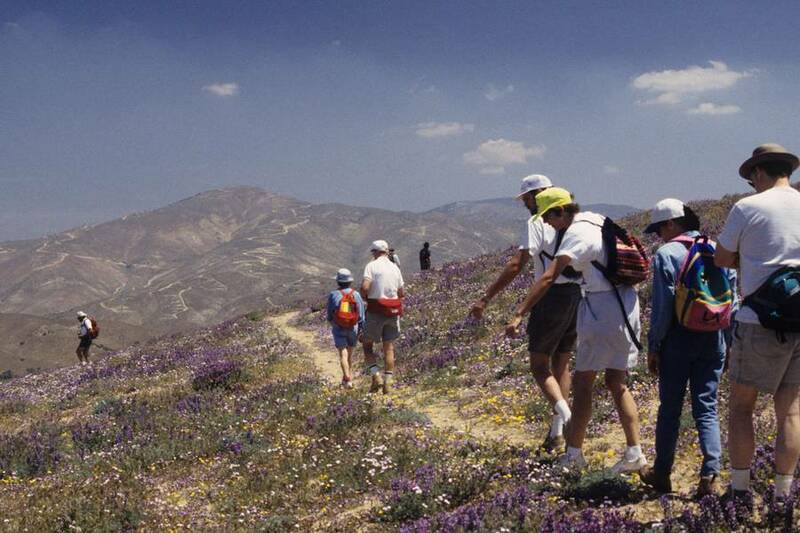 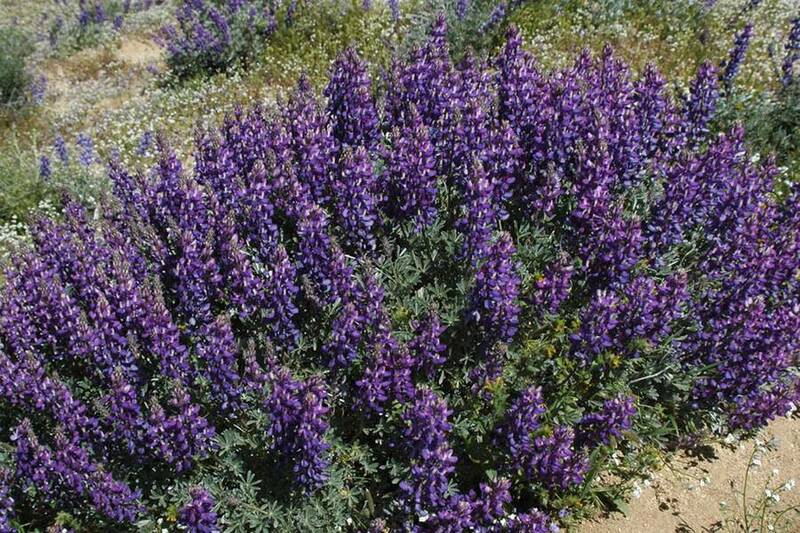 Tehachapi’s Windmill-Wildflower Hike is one of the longest-running such events anywhere in the world. 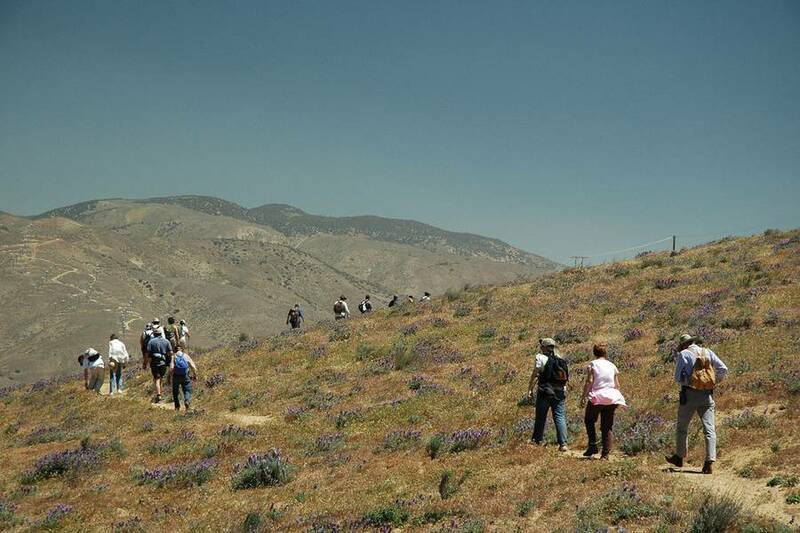 Nearly a thousand people, from children to octogenarians, have taken the six-mile walk across Cameron Ridge since the event was first launched three decades ago. 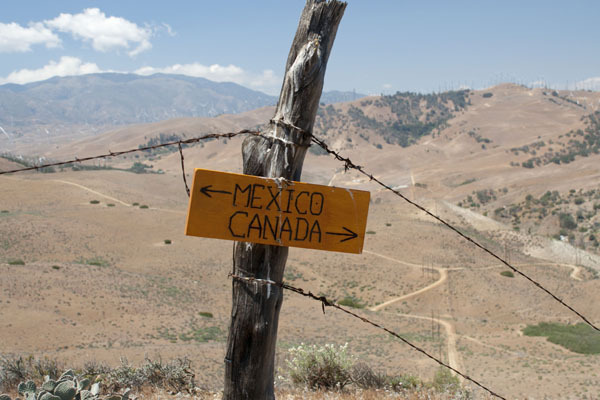 The Pacific Crest Trail stretches from Mexico to Canada following the crest of the Sierra Nevada for much of its length. 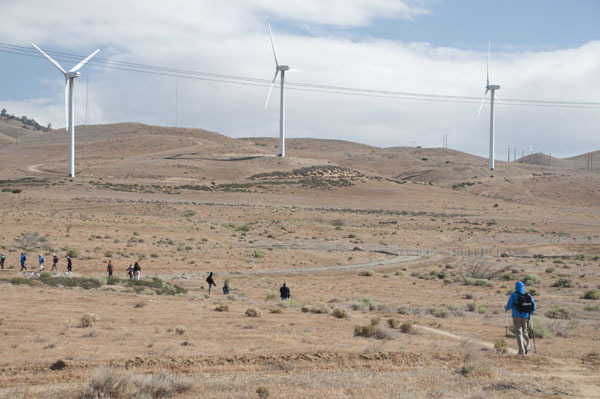 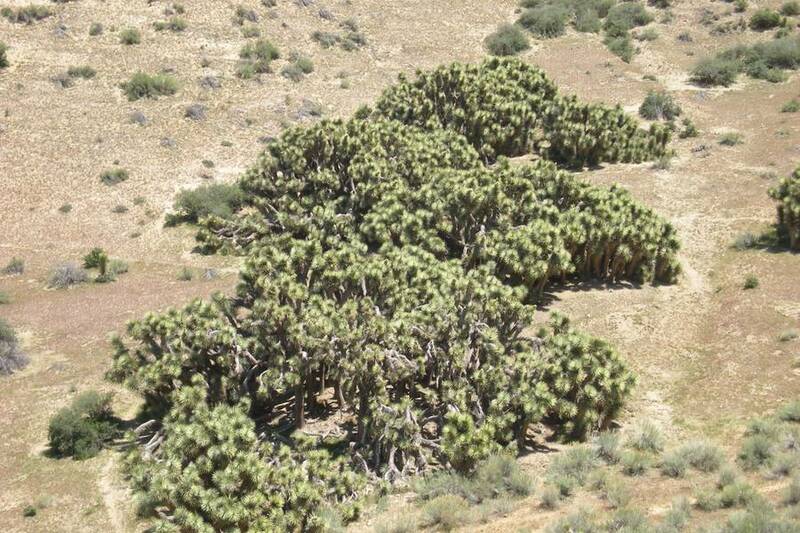 The route over Cameron Ridge offers sweeping vistas of the Mojave Desert, the Garlock Fault. 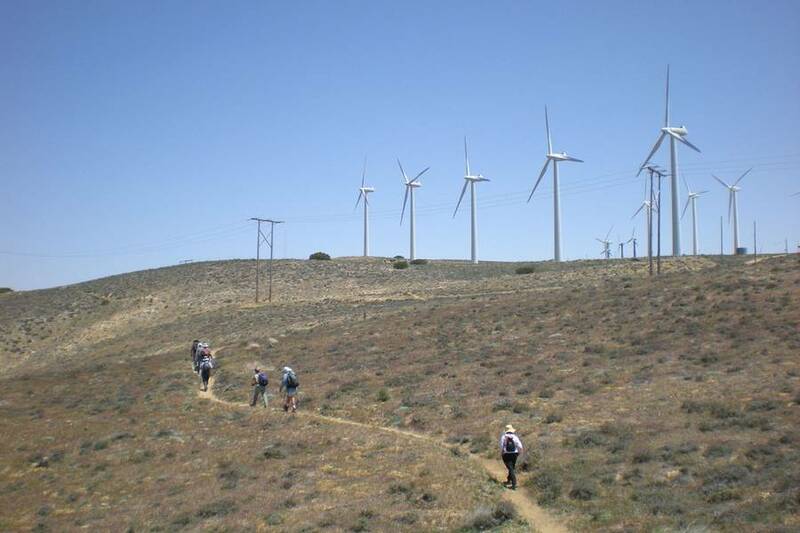 The trail provides public access to one of the largest concentrations of wind turbines in the world. 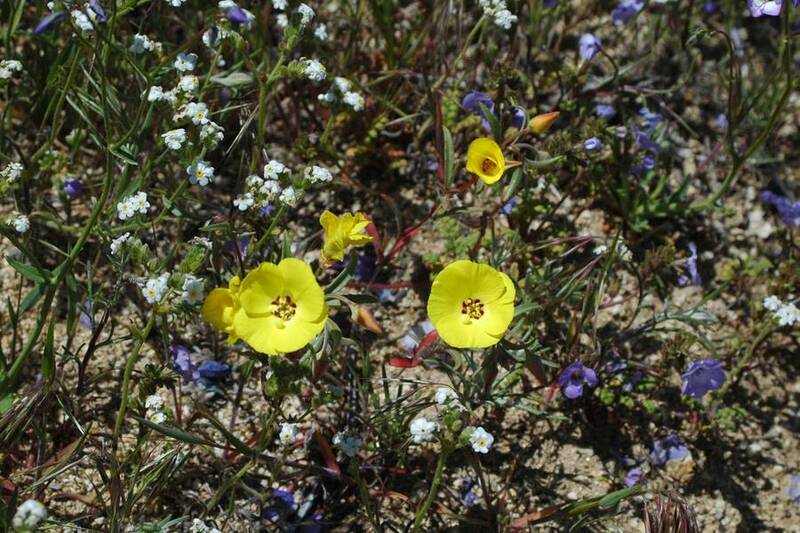 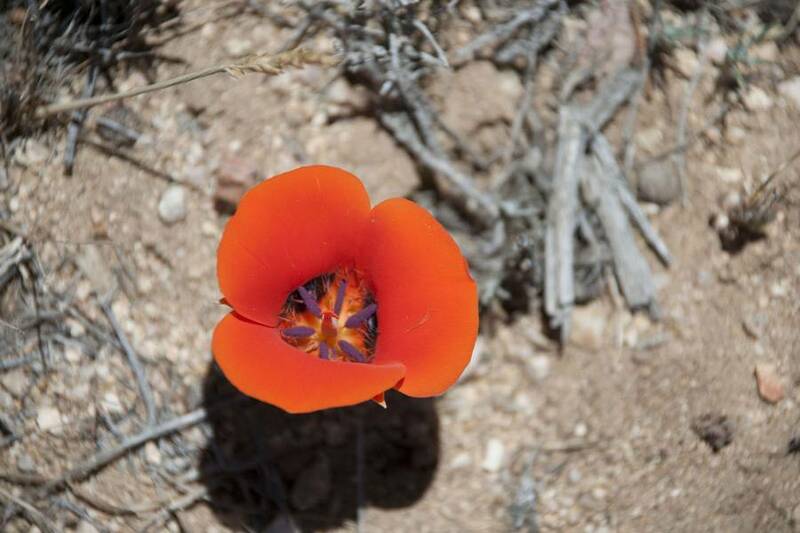 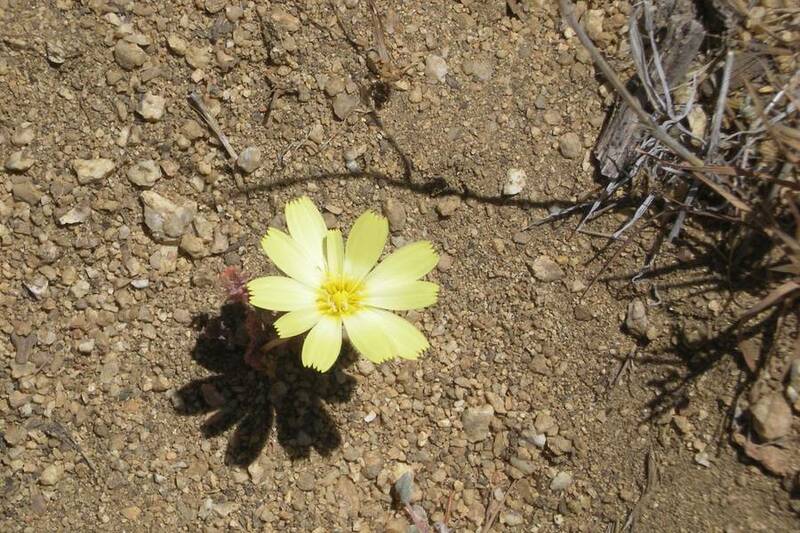 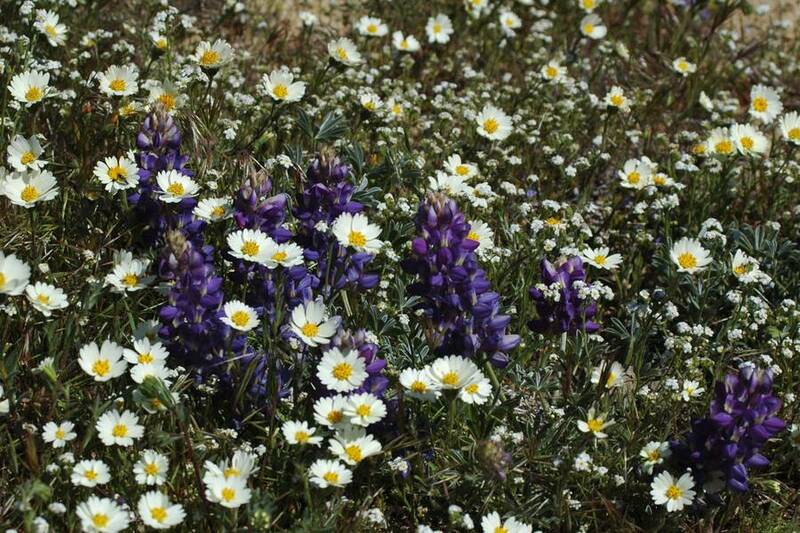 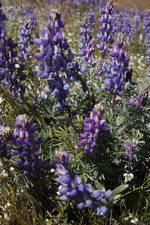 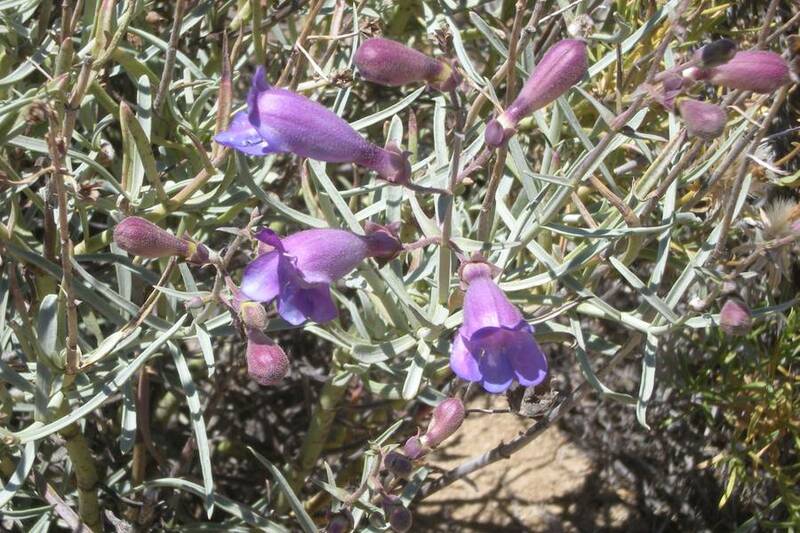 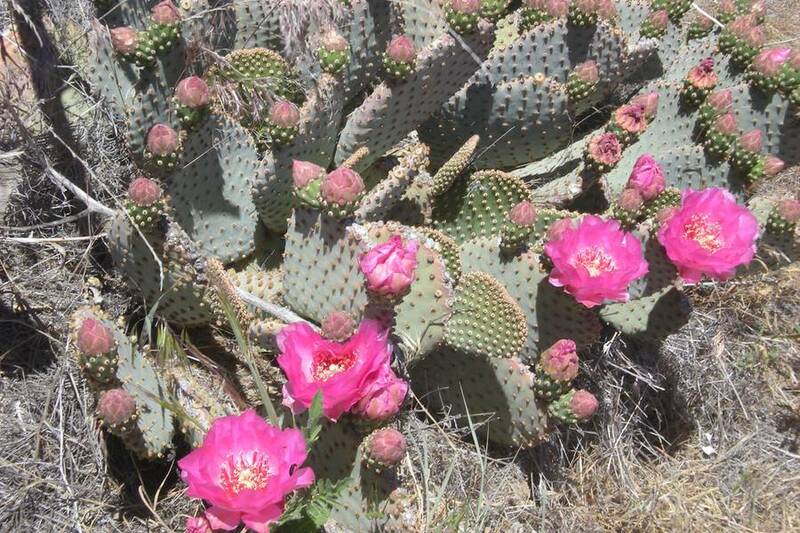 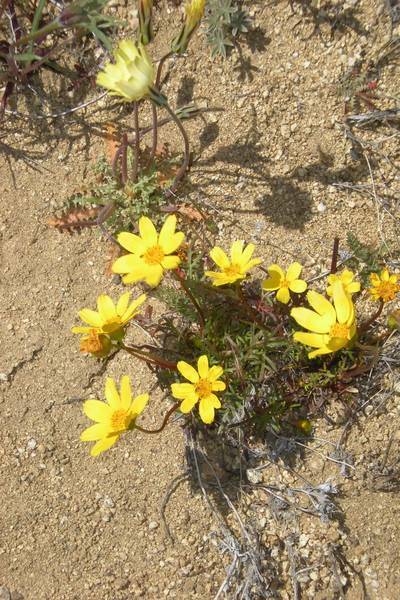 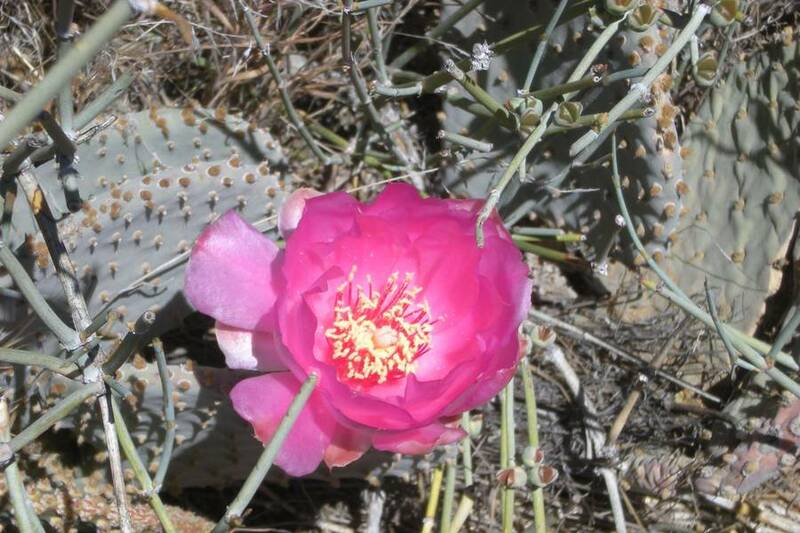 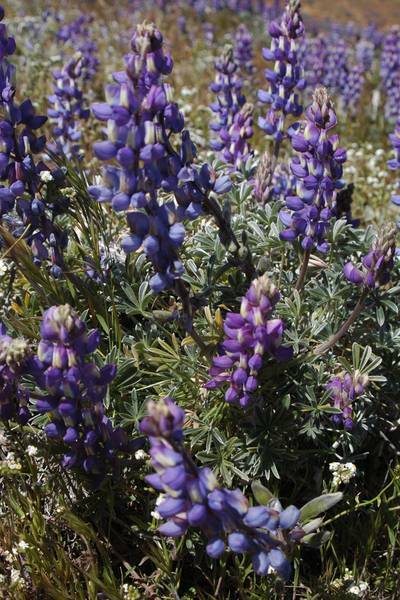 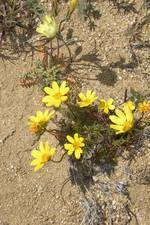 Depending upon conditions, the PCT’s Cameron Ridge segment can also provide dramatic displays of spring wildflowers, including grape-soda lupine (Lupinus excubitus), Desert or Kennedy's Mariposa lily (Calochortus kennedyi), sun cups (Camissonia sp. 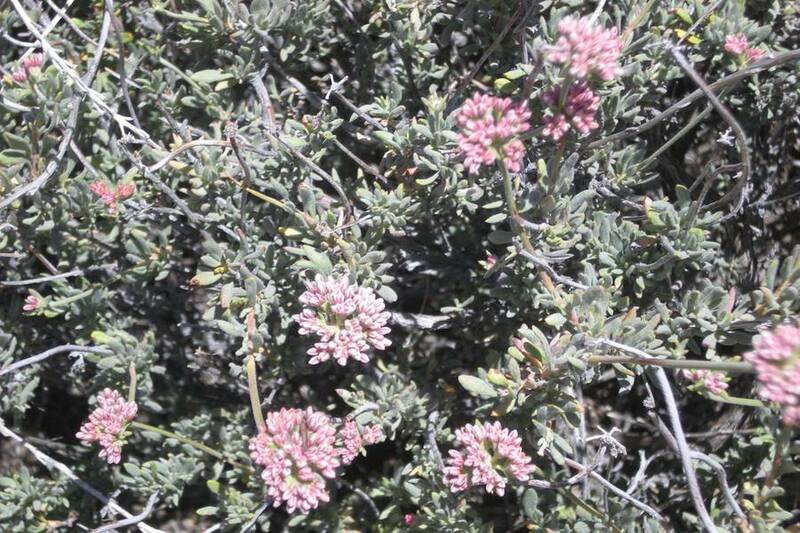 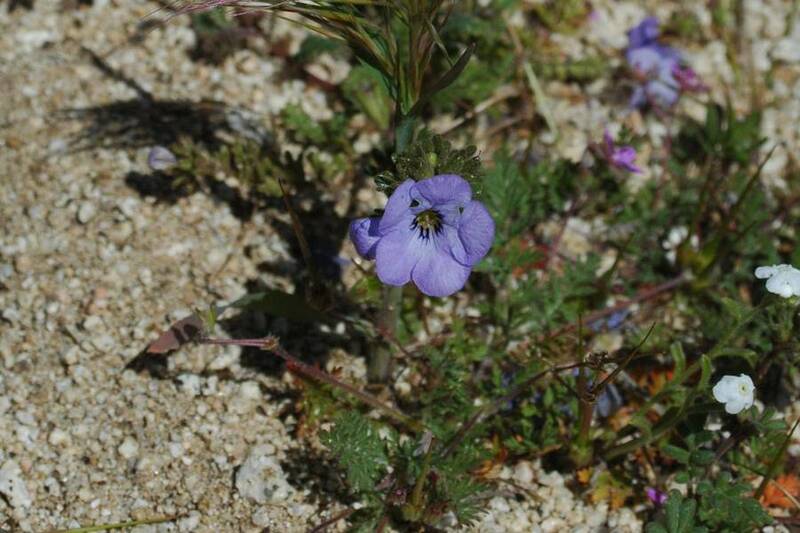 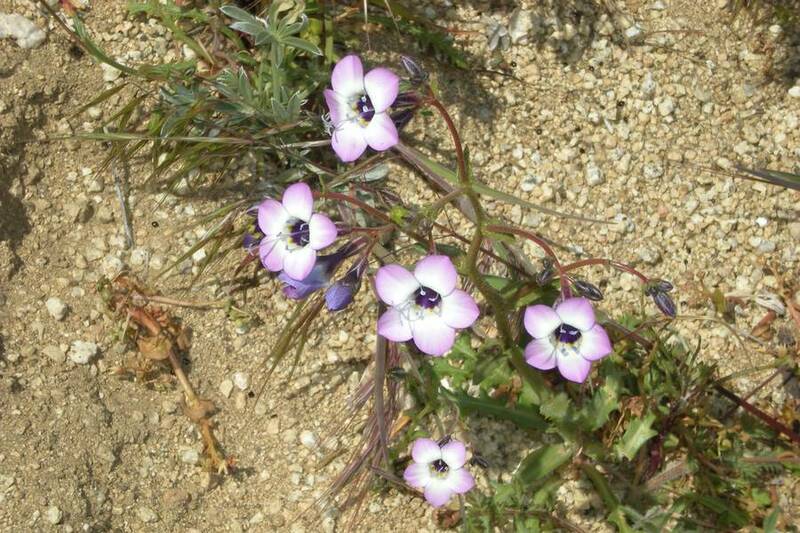 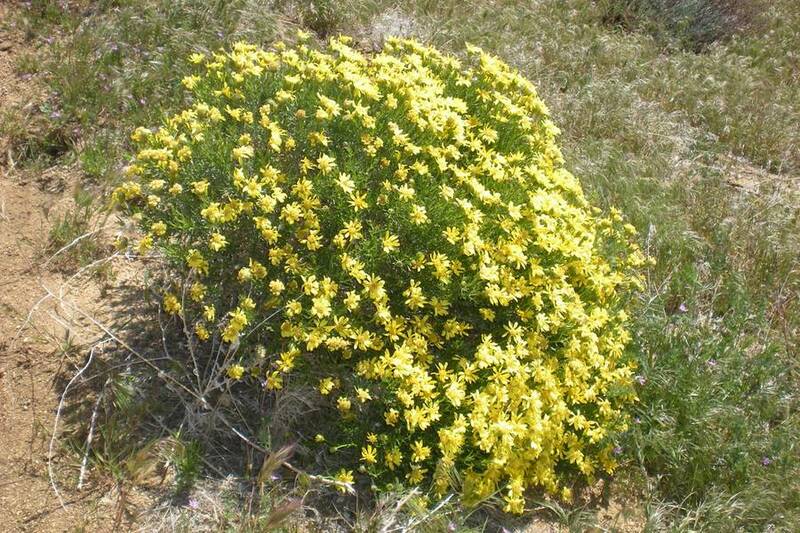 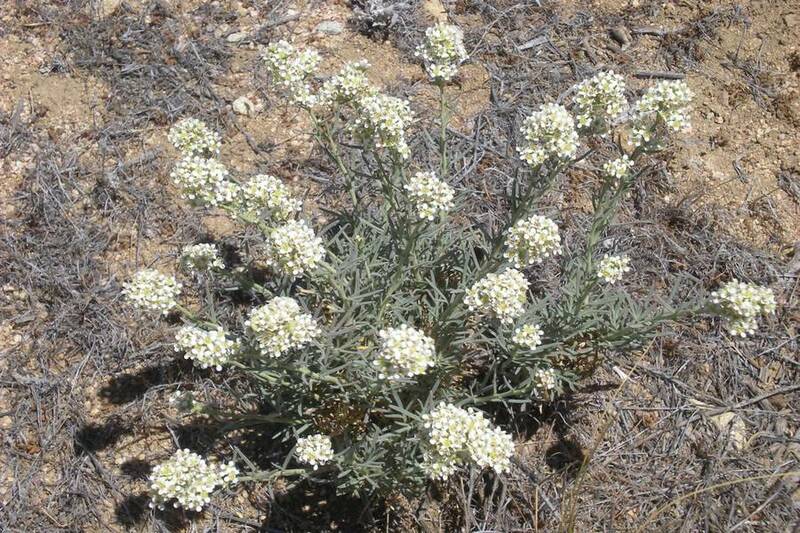 ), and gilia (Gilia sp.). 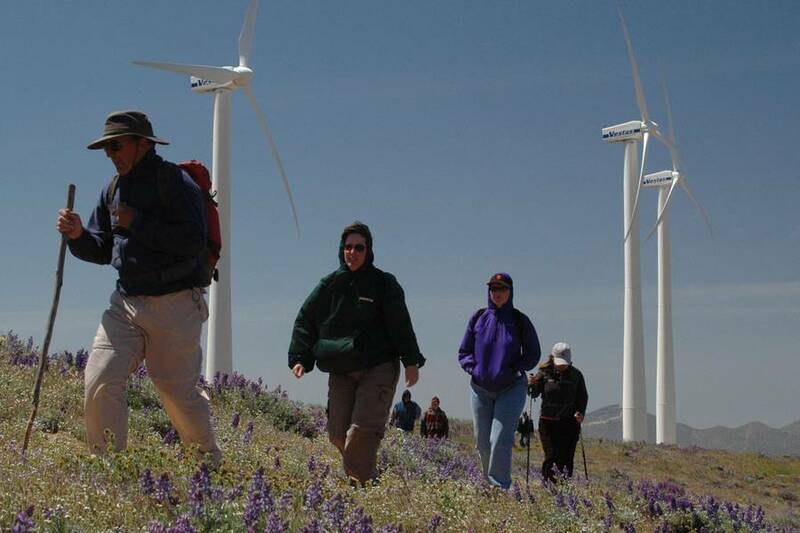 The Sierra Club is a national environmental group that supports the responsible development of renewable resources, including wind energy. 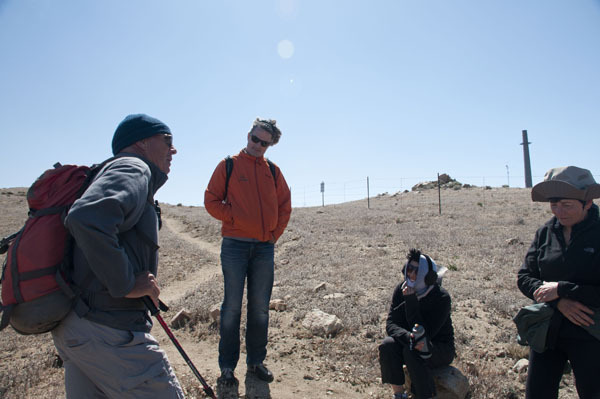 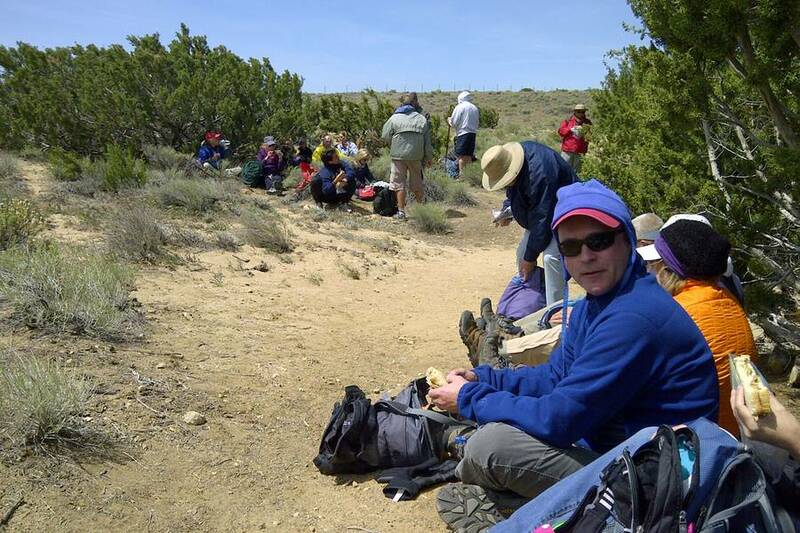 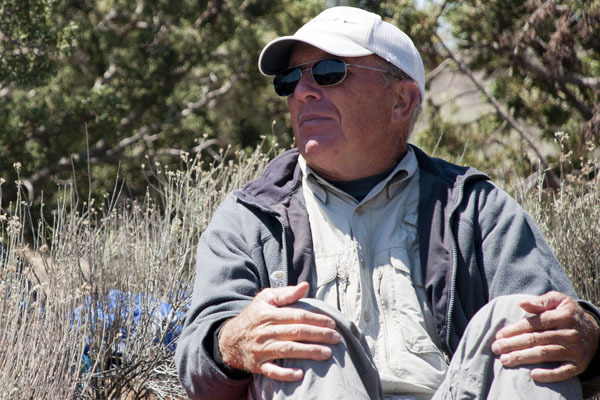 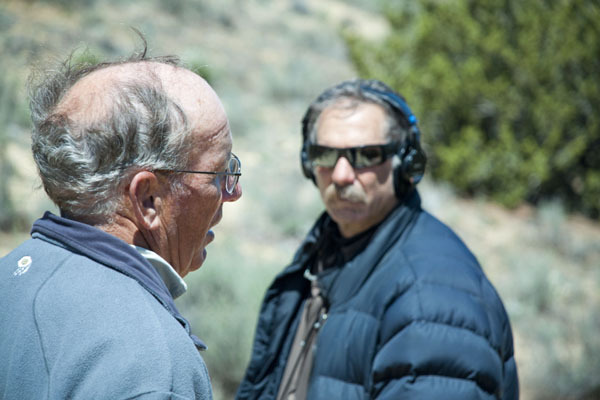 Tony Swan, a local Sierra Club member, has led the hike for most of the past three decades. 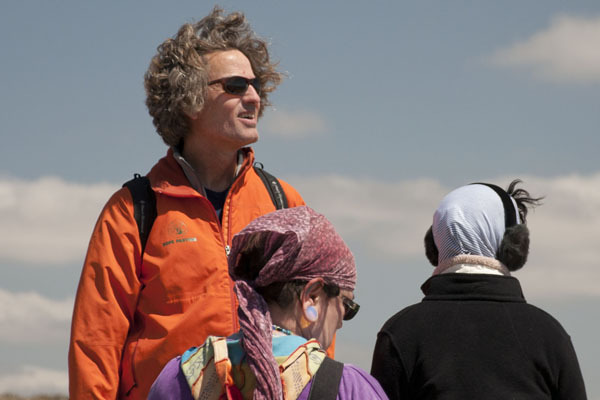 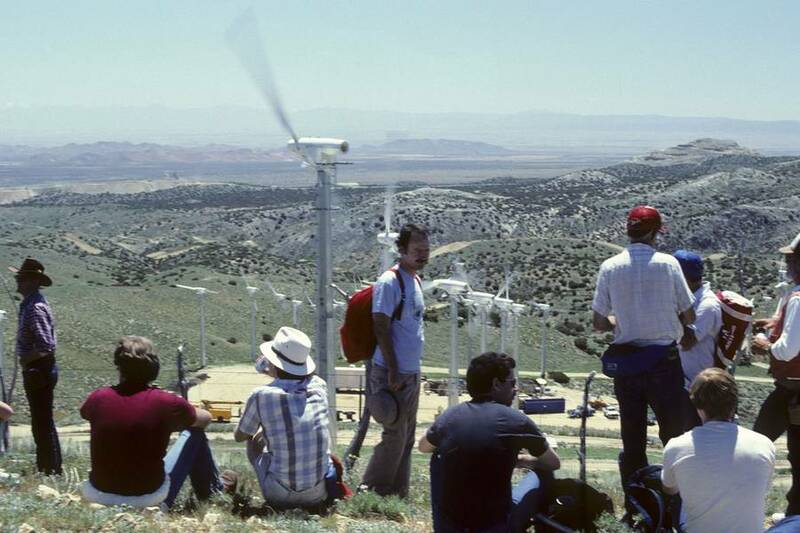 Paul Gipe, an internationally recognized authority on renewable energy, organized the first hike in 1986. 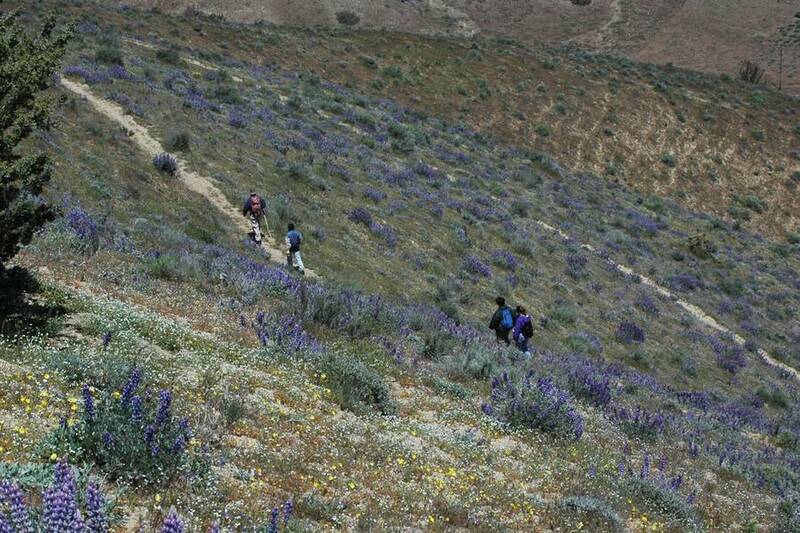 All photos by Paul Gipe unless otherwise noted.